The physicians and staff of the Hershey Endoscopy Center wish to thank you for allowing us to partner with you in the care of your patients. Our goal is to provide an outstanding level of individualized patient care. 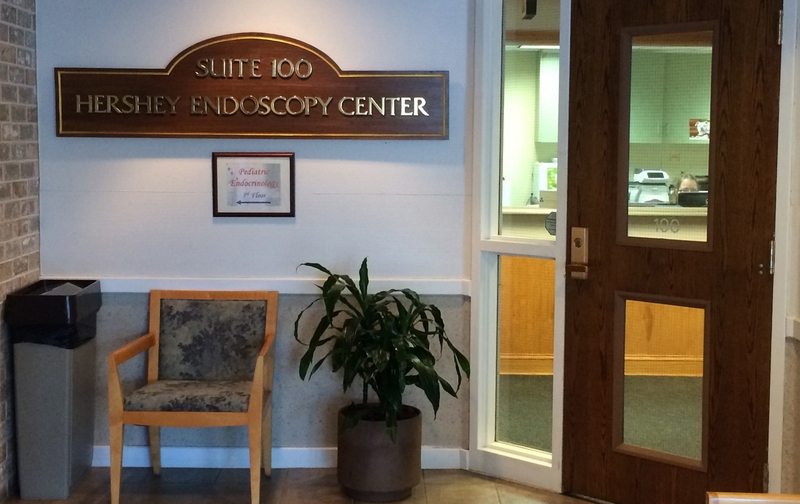 We offer patients a comfortable, convenient, private, and safe endoscopy experience. 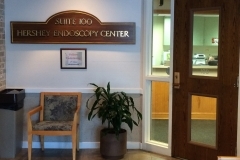 The Hershey Endoscopy Center is a free-standing endoscopy center with easy accessible parking, a spacious waiting area, and a smooth-flowing process from admission to discharge. The patients are our priority. Our facility is conveniently located diagonally across the street from the entrance to the Hershey Medical Center on Route 322 (Governor Road) in the Briarcrest Office Building. We are committed to providing the safest possible procedures by following all recommendations of ASGE (American Society for Gastrointestinal Endoscopy), SGNA (Society for Gastrointestinal Nurses and Associates) and the CDC (Centers for Disease Control). Rectal Surgeons. We offer Open-Access Endoscopy scheduling in an effort to form strong partnerships with our referring physicians. Physicians can quickly schedule endoscopic procedures on medically stable patients without the need for prior consultation.This is offered to improve patient access to endoscopic procedures by highly qualified endoscopists and also offers a unique opportunity for patients to be able to have their procedure and receive their results on the same day. Once your patient’s procedure is completed, you will receive the endoscopic report in the mail within a few days. If tissue samples are taken, you will also receive these results as quickly as possible along with the physician’s recommendations. All pathology results are available in the Hershey Medical Center Powerchart Computer System as well. Your patient will go home from the endoscopy procedure with a copy of the report and pictures, and will also personally receive a follow-up letter with the pathology report and recommendations. At the Hershey Endoscopy Center we are committed to caring for your patient and meeting their physical and emotional needs. Please call us if you should have any questions about what your patient may experience or our scheduling process at 717-531-1318. Thank you in advance for your referrals and allowing us to participate in the care of your patients.